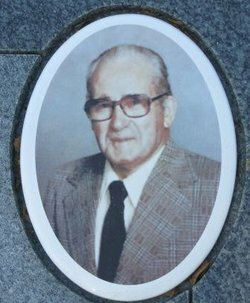 Published: Monday, July 19, 2004 at 2:15 a.m.
LAKELAND -- Mr. Howard M. Reeves of Lakeland died of complications from a stroke Friday (July 16, 2004) in Delafield, Wis. He was 95. He was born Oct. 17, 1908, in Beaver Crossing, Neb. He was a farmer. He was a Jehovah's Witness. Mr. Reeves was preceded in death by his wife, Ethel A. Reeves. He is survived by his daughters, Dorothy Piske, Huntley, Ill., Delores Hayward, Lakeland, Donna Reeves, Delafield, Debra Reeves, Christmas, Denise Jackson and Deanne Dominique, both of Lakeland; sons, Duane Reeves and Donald Reeves, both of Huntley, Ill., Darryl Reeves, Forest, Miss., David Reeves, Kentucky, Daniel Reeves, Eldon, Mont. ; sisters, Mable Obujeh, California; 38 grandchildren; 47 great-grandchildren; and three great-great-grandchildren. Visitation will be from 3 to 4 p.m. Wednesday at Whidden-McLean Funeral Home, Bartow. Services will follow at 4 p.m. at the funeral home. Memorial contributions may be made to Watchtower Bible and Tract Society, 25 Columbia Heights, Brooklyn, N.Y.
[S3764] Deb, family tree titled "My Stoddard-Fransen Family", published by Ancestry.com, wc.rootsweb.ancestry.com, from database named puritan2, updated Aug 2007, viewed Nov 2012. [S3864] 1910 US Federal Census, Loma, Mesa County, Colorado, digital image Ancestry.com ; National Archives micropublication, Allen J Reeves head of household, roll T624_122, enumeration district 0085, page 19B. [S3868] Howard Reeves, The Ledger.com website online newspaper, 19 Jul 2004 obituary notice. [S3865] 1920 US Federal Census, Clear Creek, Wheeler County, Nebraska, digital image Ancestry.com ; National Archives micropublication, Allen J Reeves head of household, roll T625_1003, enumeration district 268, page 1A. [S3870] Find A Grave: Wildwood Cemetery, Bartow, Florida, Howard M Reeves, created by Donna McPherson, added Dec 2010, memorial number 63220885. [S3866] 1900 US Federal Census, Denton, Lancaster County, Nebraska, digital image Ancestry.com ; National Archives micropublication, Allen Reeves head of household, roll T623_932, enumeration district 0035, page 15A. [S3867] 1940 US Federal Census, Colorado Springs, El Paso County, Colorado, digital image Ancestry.com ; National Archives micropublication, Elmer A Reeves head of household, roll T627_461, enumeration district 21-45, page 5B. [S3869] 1940 US Federal Census, Wauneta, Chase County, Nebraska, digital image Ancestry.com ; National Archives micropublication, Byron Reeves head of household, roll T627_2240, enumeration district 15-16, page 4A. 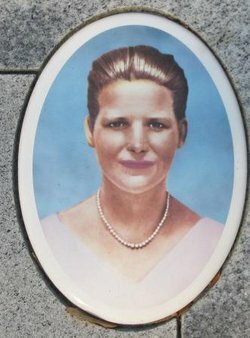 [S3870] Find A Grave: Wildwood Cemetery, Bartow, Florida, Ethel Amelia Reeves, created by Donna McPherson, added Jun 2009, memorial number 38599419. [S1469] Veromi, a current name and address on-line database, www.veromi.net.